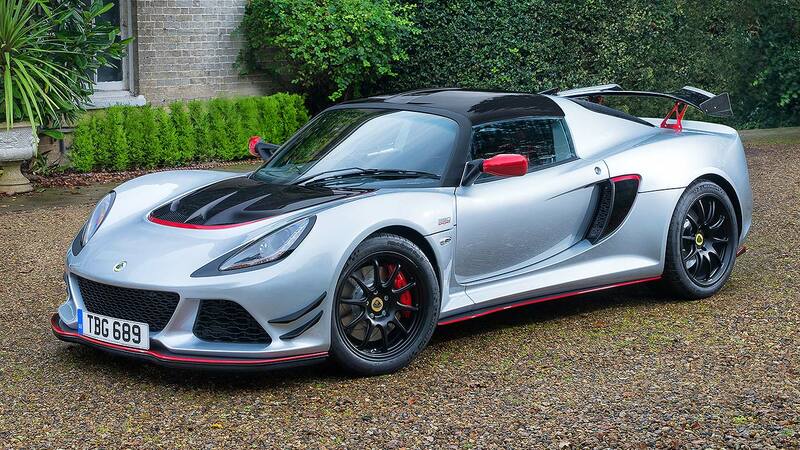 Lotus is ending 2016 with yet another new car, the Exige Sport 380. 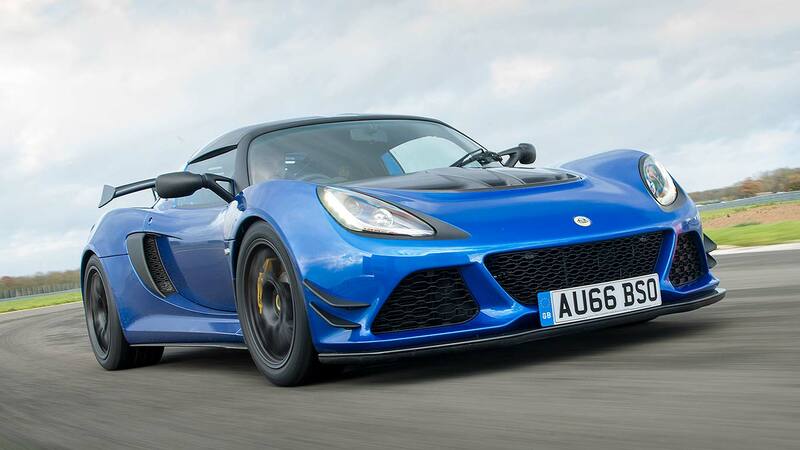 This sounds suspiciously similar to the Exige Sport 350, which we drove last year and deemed brilliant. Only this one costs £11,000 more than the 350, which remains on sale (and remains subject to a waiting list). Quite a price tag for 30hp more, no? Ah, but this is Lotus. It’s not just given the Sport 380 more power. It’s also give it much more focus and attitude to back up the claim this is a bona fide ‘supercar killer’. 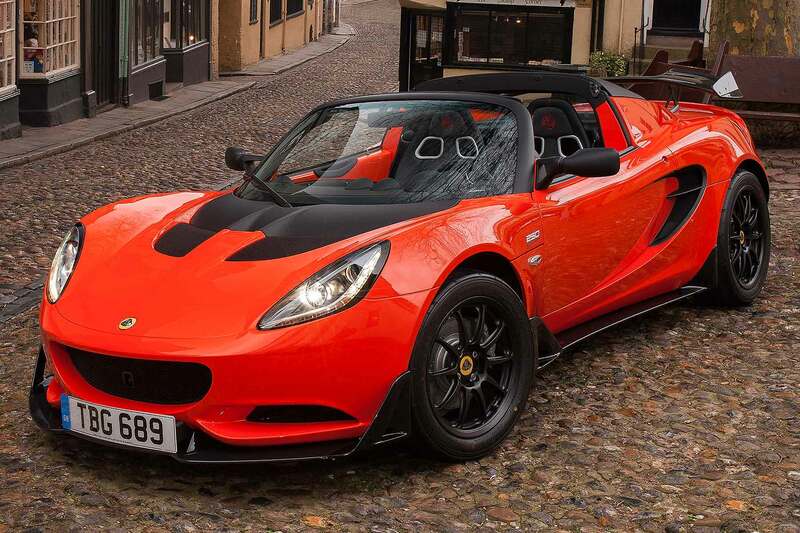 You don’t need a Ferrari or an Aston Martin, believes Lotus. 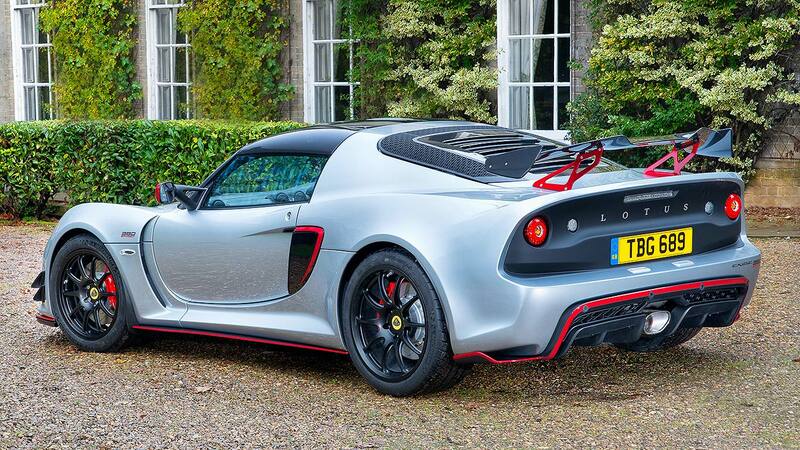 The Exige Sport 380 will run rings around them for far less. We headed over to Norfolk to find out why it’s so confident. For starters, the Sport 380 looks the business. To the Sport 350, Lotus has made the rear wing even larger, and now built it from carbon fibre. There’s an enlarged front splitter with ground-sucking rubber edge hidden beneath, and beefy air blades on the sides to further aid aero. It looks more serious, and it is: this car generates 60% more downforce at its top speed – a whopping 140kg (akin to having two blokes sitting on the rear wing). 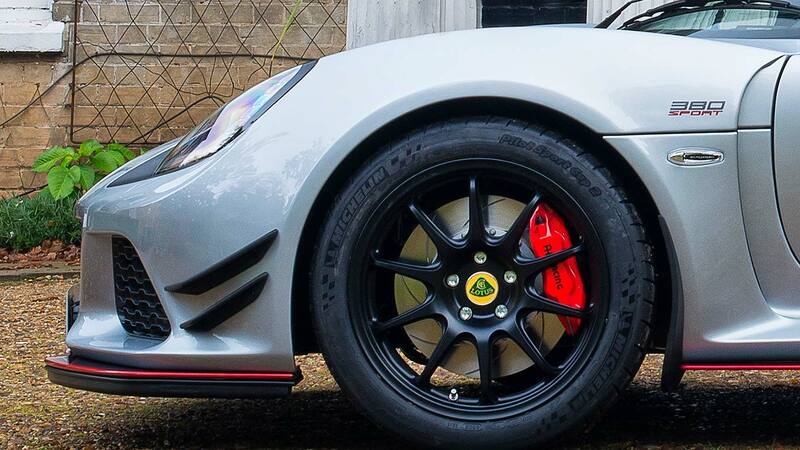 Lotus is switching from Pirelli to Michelin tyres, so the Exige Sport 380 wears a semi-slick set of Cup 2 tyres. 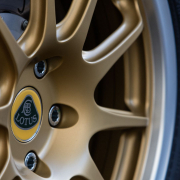 The front tyres are bigger, to reduce understeer (“completely tune it out,” says Lotus boss Jean-Marc Gales) and they clothe ultra-lightweight forged alloy wheels. With a set of 3-Eleven grooved two-piece brakes (which Porsche tells him they consider “the best in the business,” reveals Gales), unsprung weight is reduced by 2.5kg a corner. That’s a hefty weight reduction. 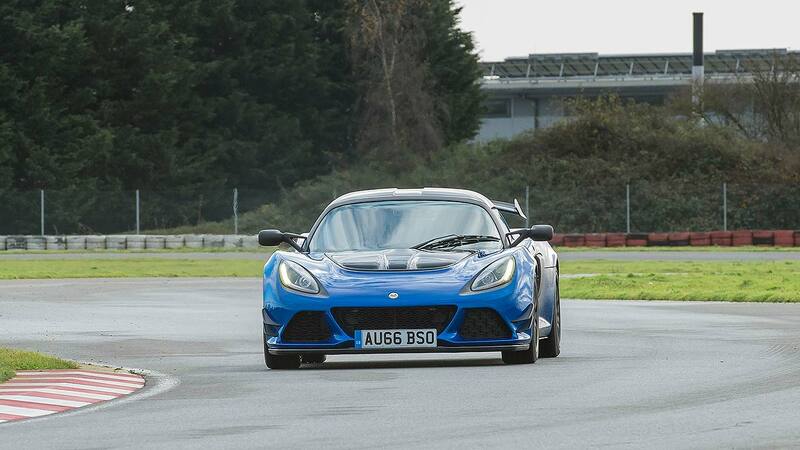 All told, the Exige Sport 380 is 15.2kg lighter than the Sport 350. Lotus has actually taken around 30kg out of it, including a whopping 10kg by swapping the normal battery for an exotic lithium ion one. But it’s added some weight back: the air blades weigh more, there’s a new gearbox oil cooler to help it cope with track use, and the fuel tank is now an enlarged 48 litres which adds weight. Overall weight? 1066kg, or 1100kg with fluids. 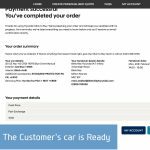 A basic Vauxhall Corsa weighs 1166kg. In its standard guise, the Lotus Exige Sport 380 is an open-top roadster. You can have an optional carbon fibre hard top if you want: because it’s so light, there’s no weight difference between the two. And, adds Gales, the top speed is the same whether the roof is up or down – on some Italian supercars, it’s capped when the roof is down. A hefty 6kg has been cut from the weight of the Sport 380 by using carbon fibre seats. These are hard but purposeful, adding further richness to an interior whose appearance and quality has come on leaps and bounds. This is a genuinely well-finished car now, certainly one capable of commanding premium-level pricing. The seats are now Alcantara (“it grips you better,” says Gales), there’s a new Clarion stereo with Bluetooth at last, and you can get carbon fibre door sills that save weight and make it (a bit) easier to get in and out. As for that top speed, it’s now up from 170mph to 178mph – an impressive increase given how downforce has increased so significantly. Gales says careful work in the wind tunnel means drag at speed has marginally decreased, helping the top speed. 0-62mph takes 3.7 seconds, down from 3.9 seconds for the Sport 350. The 3.5-litre supercharged V6 engine, sourced from Toyota, has a new supercharger pulley that increases the charge pressure, plus revised engine calibration, and it’s been donated the sportier exhaust from the exotic Evora 410. This increases power to 380hp at a slightly lower 6700rpm; it also ups engine torque to 302lb-ft. Lotus says above 4000rpm, the Sport 380 is appreciably more responsive than the Sport 350. 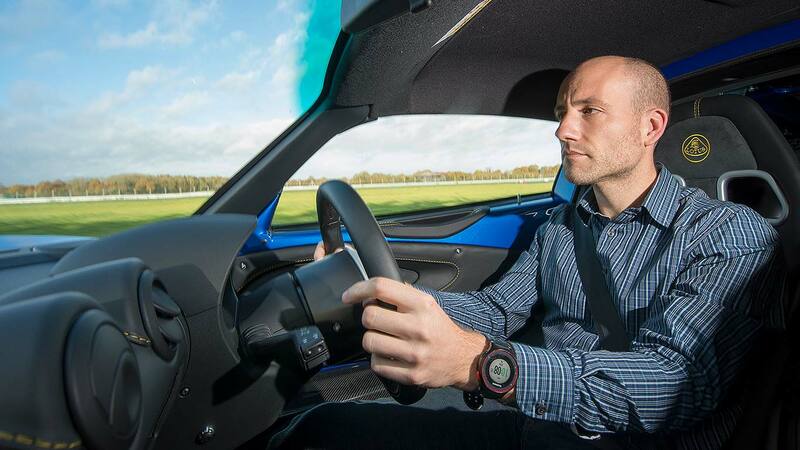 Visiting Hethel to drive a Lotus means you get to enjoy the firm’s on-site test track. It’s already clocked the lap time of the Sport 380 at 1 minute 26 seconds, down from 1 minute 29.5 seconds for the Sport 350. We enjoyed the extra low-rev burble of the exhaust, and the meaty kart-like steering, as we trundled out onto the circuit for some hot laps. “Get some heat into the tyres” was the advice, fully heeded as we slithered around on the autumn dew for a few laps. Then it clicked. Wider front tyres allow you to attack corners more aggressively in the Sport 380. There’s both more front-end grip and more feel and feedback through the wheel. You have a firm, clear idea of exactly what’s going on below, what the grip levels are like and how much harder you can push – and that’s not the only way in which confidence levels are boosted. 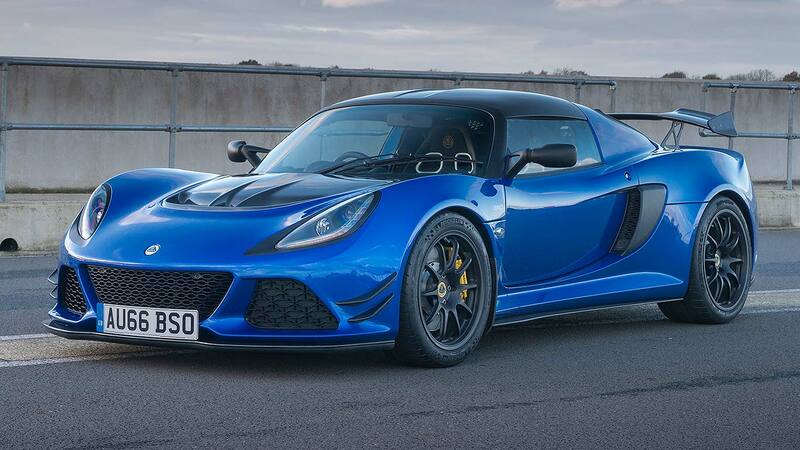 The significant increase in downforce (“most cars generate lift at speed,” says Gales) means the Exige is better planted at speed. This itself gives you more confidence as you go faster, and means the car responds more sharply and cleanly through higher-speed corners. Add in the greater front-end bite, plus all the brilliance of those amazing Michelin semi-slick tyres, and you have a car that simply seems to get better the faster you go. It’s incredibly confidence-inspiring. The extra responsiveness of the engine is felt right away, and out on track where immediate response is everything. At higher revs, it’s appreciably meatier and more reactive to the accelerator. The rich, deep burble at lower revs also transforms above 5000rpm into a deliciously loud and intense howl. 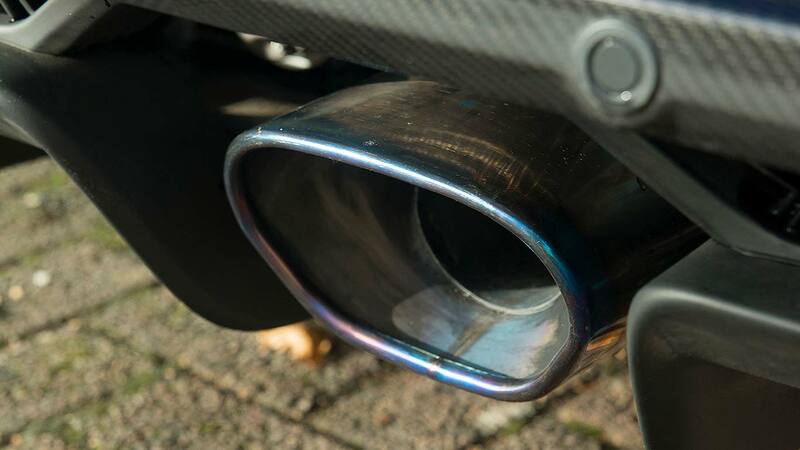 The V6 has never sounded this fine in an Exige before – and if you want it even more intense, choose the exotic titanium exhaust option (which will also cut 10kg from the kerbweight). 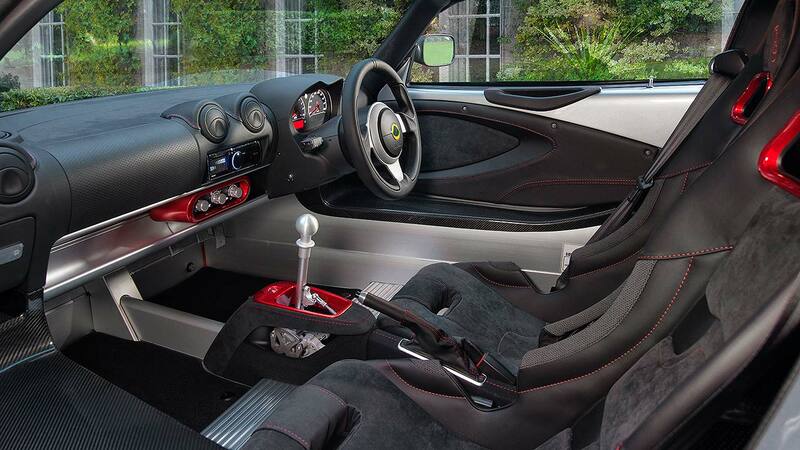 Air con is, as ever, an option on an Exige, but most cars are fitted with it. Luckily ours was: after a thrilling 45 minutes out on track, we went back, swapped cars and took an identical but fully-fuelled Sport 380 out onto the road. Lotus was keen to stress that, although the focus has been intensified for track-day use, it still remains a perfectly fine road car too. 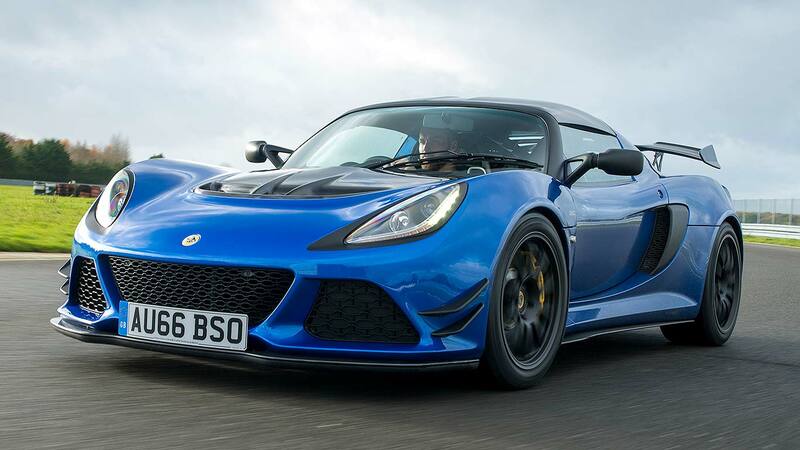 Lotus hasn’t spoiled the everyday comfort for weekend thrills. A Lotus feels different to most other cars from the off. You sit low, face a minimalist and largely exposed aluminium cabin, albeit now enhanced by judicious use of rich leather across the dashboard. The pedals are cramped, the gearchange clicks loudly like a race car and forget about rear visibility. Indeed, forget about any sort of easy parkability: non-assisted steering is heavy at walking pace. But as on the track, it quickly starts to gel. 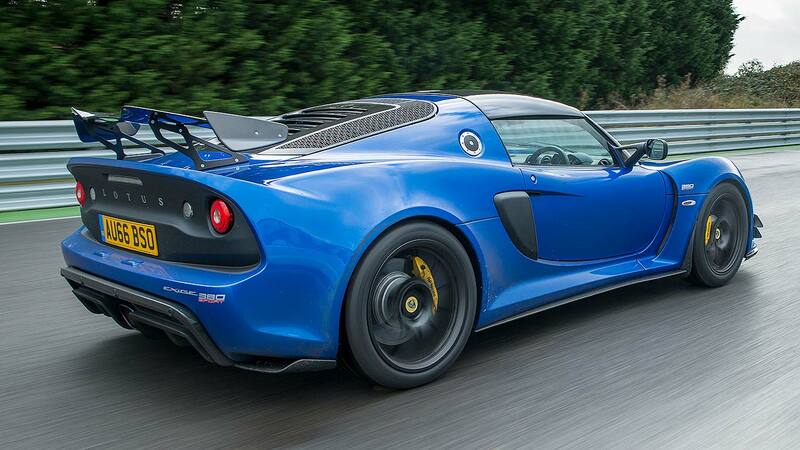 The first highlight is, still, the Exige Sport 380’s fine ride quality. Taut and purposeful, sure, but also brilliantly damped and remarkably fluid. 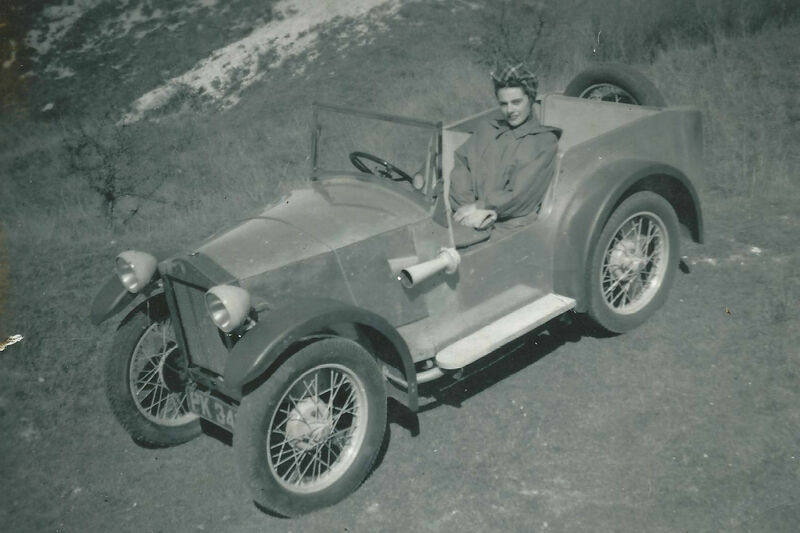 It rarely bangs over bumps, remains in control yet never jars, basically displays controlled, sporting comfort over challenging British roads like few other cars. 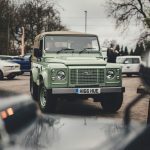 Its elegance is, at times, brilliant: it’s a perfectly able machine to use every day, in contrast to the aggressive jars and intensity of some other high-performance machines. The Sport 380 feels extremely well honed, well matched and cohesive. It’s a car that gels, a car whose engine, ride, handling and aerodynamics all work together so well. 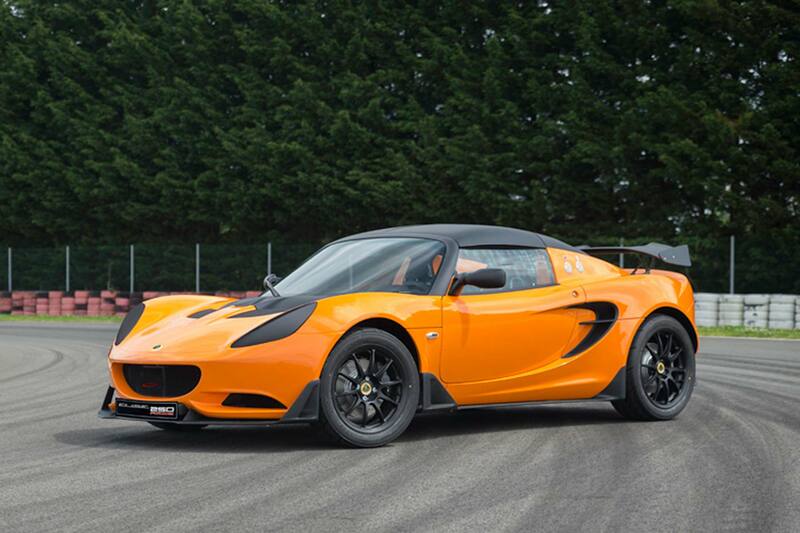 It’s much more than just a Sport 350 with a power boost – this is a more focused, bigger-hitting driver’s car that fully justifies the extra Lotus is asking. 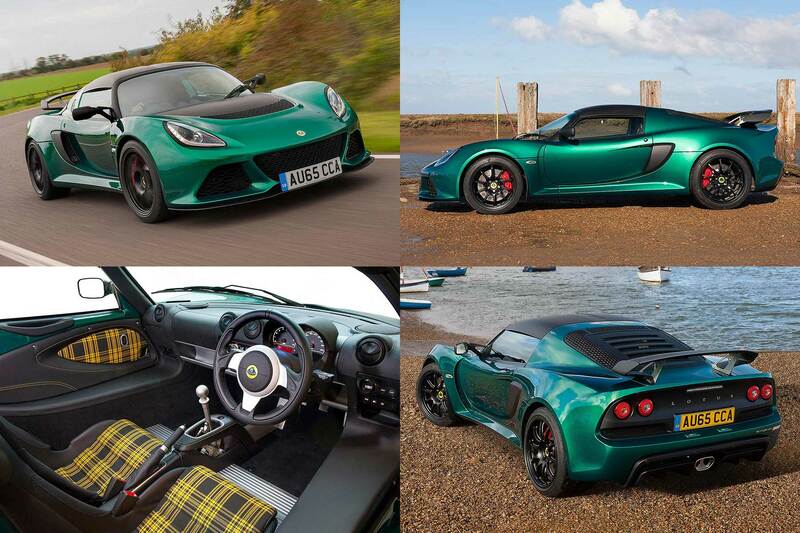 Lotus doesn’t just charge £67k for the Exige Sport 380, but builds and finishes it, by hand, in a way that justifies this. The paint finish is rich. 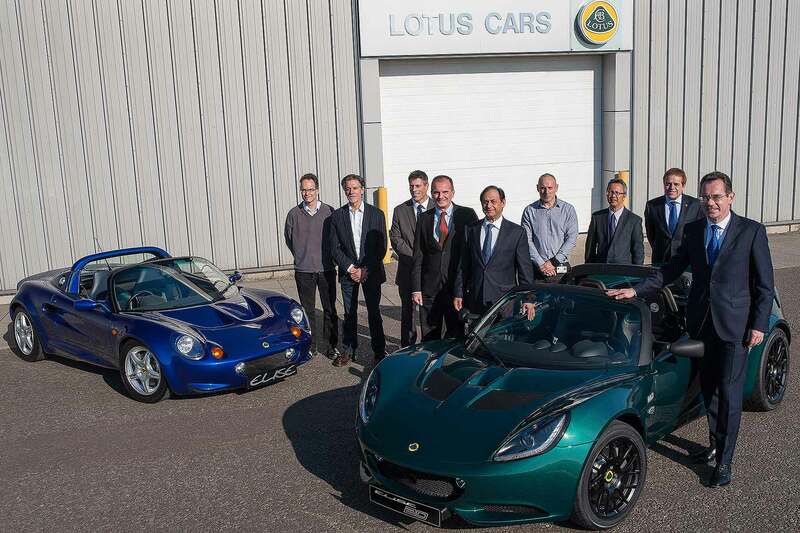 No Lotus has ever been as precisely assembled as the latest machines from the production line. The interior smells of Alcantara and leather, not adhesive. It looks rich and well-finished. Even the doors open and close with a Porsche-like click, not a clang. It now feels like a £67k exotica. 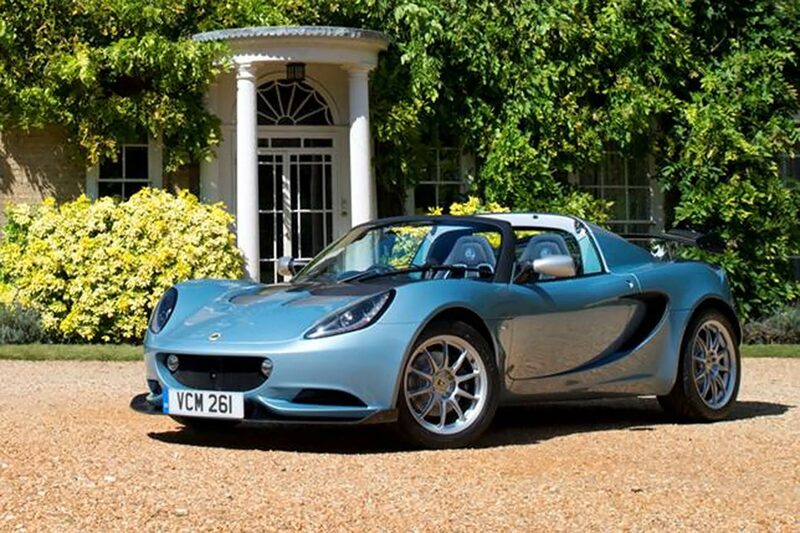 This Lotus is a hand-built, richly-honed bargain. It delivers an exotic-level driving experience for relatively attainable prices. A car as satisfying to drive as a six-figure supercar, for a decidedly five-figure ticket. It’s a genuine thoroughbred. Lotus has had a great year in 2016. 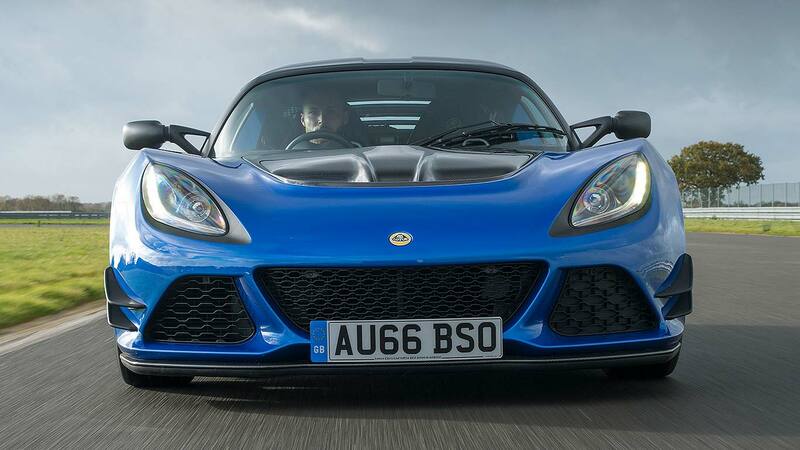 With the Exige Sport 380, it’s saved the best until last. 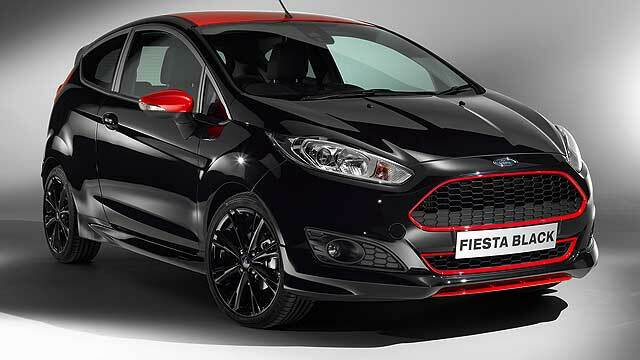 Ford 1.0 140 EcoBoost: more power per litre than Jim Clark’s Lotus!